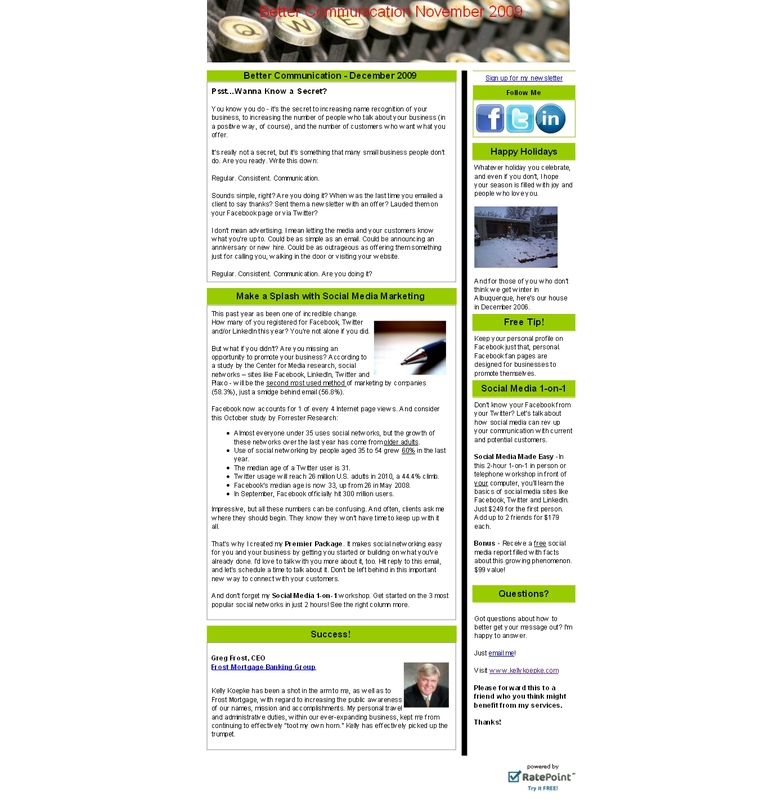 My December 2009 newsletter, Better Communication, is now available. Click below for the PDF version. This entry was posted in 1 on December 10, 2009 by kellykoepke.